In response to the epidemic of police violence that’s taken the lives of Michael Brown, John Crawford, and countless others, a coalition including Join Hands Up United, Organization for Black Struggle, Missourians Organizing for Reform and Empowerment plan a “Weekend of Resistance” in Ferguson, Missouri, October 10 – 13, to build momentum for a nationwide movement against police violence. News in three cases this week underscores the urgent need for such a movement. 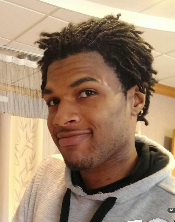 A special grand jury in Beavercreek, Ohio, chose not to indict police officers in the shooting death of 22-year-old father of two, John Crawford III. Crawford was shot and killed by police officers in a Walmart, holding a toy rifle he picked up in the store. On August 5, John Crawford III walked into a Walmart in Beavercreek, Ohio — a Dayton suburb that’s about 95 percent white, and less than three percent black. While talking on his cellphone with the mother of his two sons, he picked up an unboxed Crossman MK-117 pellet gun in the sporting goods section, and carried it with him as he continued shopping. The MK-117 looks like a real automatic weapon. Ronald Ritchie, a 24-year-old white man, called 911 and said that a man he described as black,about 6 feet tall, with an “afro,” was “walking around with a gun in the store…like, pointing it at people.” Ritche also said Crawford was “loading the gun now” and “waving it back and forth.” Police officers who arrived on the scene said Crawford ignored orders to drop the gun, prompting them to open fire. None of the shoppers around Crawford seem alarmed. Crawford is not seen pointing or loading the toy gun, or “waving it back and forth.” Crawford appears to drop the gun and trip over it when the police entered with weapons drawn. Audio of the 911 phone call synchronized with the video suggests that officers opened fire within seconds of entering the store, shooting Crawford almost on sight. Yet, the grand jury found the officers were justified in their actions. Meanwhile in Ferguson, Missouri, if the grand jury — comprised of 9 whites and three blacks — decides not to indict Officer Darren Wilson, in the shooting death of 18-year-old Michael Brown, it will be because Prosecutor Robert B. McCullough doesn’t want them to. In a decision that the Washington Post’s Dana Milbank describes as turning a tragedy into a farce, McCullough’s office has not recommended any charges to the grand jury. Instead of presenting the case after local and federal investigations are complete, McCullough’s office is dumping evidence on the grand jury as it comes in. The Ferguson grand jury will then have to make sense of all the evidence without any guidance from the prosecutor’s office. It is often said that a grand jury will indict a ham sandwich if a prosecutor asks it to. But the opposite is also true. A grand jury is less likely to deliver an indictment — even a much deserved one — if a prosecutor doesn’t ask for it. Finally, in Jacksonville, Florida, Michael Dunn faces another trial in the shooting death of Jordan Davis. In February, a jury convicted Dunn, 45, on three counts of attempted murder, but failed to convict him on the successful attempt that ended the life of 17-year-old Jordan Davis. On November 23, 2012, Jordan Davis and friends — Tevin Thompson, Leland Brunson and Tommie Stornes — pulled into a Jacksonville gas station, in Stornes’ Dodge Durango. Davis, Thompson and Brunson waited in the while Stornes went inside. “Beef,” by Lil Reese, blasted from their Dodge Durango. Michael Dunn pulled into the same gas station, with his girlfriend Rhonda Rouer. “I hate that thug music,” he said to Rouer, before she went inside. Dunn asked told the teenagers in the Durango to turn their music down. An argument ensued between Davis and Dunn. Dunn retrieved his gun from the glovebox, pointed towards Davis, and fired. Stornes put the Durango in reverse and sped away. Dunn got out of his car, dropped to one knee, fired 10 more shots, and drove away once Rouen returned. Dunn later claimed the one of the teenagers pointed a gun at him. Yet, he didn’t mention a gun Rouen, or call the police. No witnesses corroborated Dunn’s claim about a gun, police didn’t find a gun or any other weapons, and none of the teenagers fired back at Dunn. Thanks to Florida’s “Stand Your Ground” law the jury convicted him of trying to kill three young men, but couldn’t convict him of actually killing just one. Dunn faces up to 60 years in prison for three attempted murders, but it’s possible he’ll never one day for killing Jordan Davis. In every case such as these, we are told to “trust the system.” Clearly, trusting the system is not enough. We need a movement that demands justice.